"Seeing Israel in its Contradictory Glory"
"Americans for Peace Now Calls on Jewish Federations to Cease Settlement Funding," Pulitzer Center republished our story in Haaretz. "Americans for Peace Now Calls on Jewish Federations to Cease Settlement Funding," In response to a Haaretz report, Americans for Peace Now called on the Jewish Federations to cease settlement funding. "State taps settler leader to head body that legalizes outposts," Peace Now outraged as state appoints settler leader to head committee that would legalize outposts. "Settler leader to head gov’t drive to legalize outposts," Peace Now condemns Netanyahu's appointment of settler leader to head committee that would legalize structures in illegal outpost. "Ministers to vote on bill to annex 19 settlements to Jerusalem," Peace Now blasts government intention to endorse bill that would annex 19 settlements to Jerusalem. "Israel, US coordinated on settlement construction," Peace Now data quoted in story on West Bank settlement construction. "4 new lawmakers sworn in after Meretz, Zionist Union MKs quit," Former Peace Now Secretary General Mossi Raz sworn in as Knesset member. "Dangerously ‘imprecise’ on Israeli settlements"
"U.S. 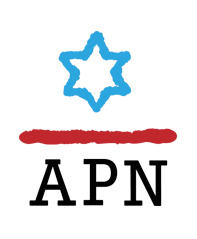 Unfazed by Israeli Bill That Would Annex Settlements to Jerusalem Because It May Not Pass," APN calls on Trump to block Israeli legislation that would annex settlements to Jerusalem. "The right kind of 'bias'"
"Left-Wing Groups Slam Trump For Refusing To Promote Two-State Solution," APN among progressive pro-Israel groups blasting Trump for failing to endorse two-state solution. "J Street Blasts Trump's 'Dangerous Ignorance' for Not Endorsing Two-state Solution," APN among progressive pro-Israel groups blasting Trump for not endorsing two state solution. "New Israeli law could ‘legalize’ 3,455 illegal buildings in West Bank," Civil Administration data confirms Peace Now numbers regarding West Bank settlement homes built illegally on private Palestinian land. "Israeli state argues that confiscation of occupied land benefits Palestinians," Peace Now blasts Israeli government position submitted to Supreme Court re law allowing confiscation of Palestinian land for settlements. "State says outpost Legalization Law protects Palestinians," Peace Now rejects government's position in suit against law that allows seizing private Palestinian land for settlements. "Israel: Law seizing Palestinian property fits international standards," Peace Now rejects state's position at Supreme Court regarding law allowing seizing of Palestinian-owned land. "China's creative thinking to help advance Israeli-Palestinian peace process: Israeli peace activist," Peace Now's Avi Buskila welcomes China's venturing into Israeli-Palestinian peacemaking. "High Court freezes controversial outpost legalization law," High Court postpones decision on petition by Peace Now and others regarding the Legalization Law. "Read The Small Print. How Nearly 200 Congressmen Could’ve Signed On A Bill Criminalizing Free Speech And Legitimizing Israel’s Occupation Of Palestine," in her op-ed, Marilyn Katz cites APN among organizations opposing a bill criminalizing free speech. "Netanyahu bars IDF from evacuating settlers from Hebron home," Peace Now says settlers' takeover of Hebron home is illegal and provocative. "Netanyahu says settlers should not be removed from disputed Hebron house," Peace Now says to the Israeli government: remove settlers from Hebron building. "In protest move, 100 settlers occupy contested Hebron home," Peace Now urges evacuation of Hebron settlers from disputed home. "Settlers of Netiv Ha’avot outpost fight looming destruction," Peace Now's Hagit Ofran: Palestinian landowners will file more petitions to reclaim their land from illegal outpost Derekh Haavot. "Israeli 'Counter-Terrorism Boot Camp' a Tourist Attraction in Occupied West Bank," Peace Now criticizes West Bank settlement-based "counter-terrorism boot camp" for tourists. "American Jewish leaders must be vocal on prayer - and peace - in Israel"
The June 25th decision by the Israeli government to suspend the agreement to create a pluralistic prayer space at the Western Wall could not have been more poorly timed. Coinciding with a visit of American Jewish leaders to Israel and coupled with the government’s decision to further a bill tightening regulations on Jewish conversions, the message of disrespect, disregard, and rejection was thus maximized – as was the response. "Jerusalem Municipality to build 800 new settlement homes in East Jerusalem," Peace Now says the Israeli government intends to construct about 1,000 new homes in East Jerusalem settlements. "1,800 East Jerusalem homes slated for approval," Peace Now poised to file objection to new settlement construction plans in East Jerusalem. "Plans to build Jewish housing in East Jerusalem require Palestinians' eviction," Peace Now criticizes plans for more Jewish settlements inside East Jerusalem Palestinian neighborhoods. "A new Jewish settlement begins to rise in the West Bank," Peace Now criticizes establishment of the new settlement. "Israel starts work on new West Bank settlement," Peace Now says there has been a 70% increase in settlement construction. "Claims of Israeli settlement freeze and 'attempt' to fool public," Peace Now says "the alleged promise by Netanyahu, if it truly happened, is another spin of the Netanyahu government trying to fool the public."